Encantador apartamento con piscina comunitaria en segunda línea con vistas al mar y a 250 metros de la playa en el barrio de Sant Roc en Calella. Al mar, a la playa, al pueblo y a la piscina. Comedor-estar con 1 sofá cama de matrimonio, chimenea, salida a la terraza, aire acondicionado frío y caliente con termostato independiente, televisor y vistas al mar. Cocina con encimera vitrocerámica, horno, microondas, nevera, lavaplatos y lavadora. Dormitorio con 1 cama de matrimonio, salida a la terraza, caja fuerte y radiador eléctrico. Jardín comunitario, piscina comunitaria y muebles de terraza. En buen estado, recientemente reformado, buena ubicación y vista espectacular. (24/09/2018) Gary, SM1 4HZ - U.K.
" Lovely apartment, lovely view. Very nice"
" Would always recommend Finques Frigola to anyone. 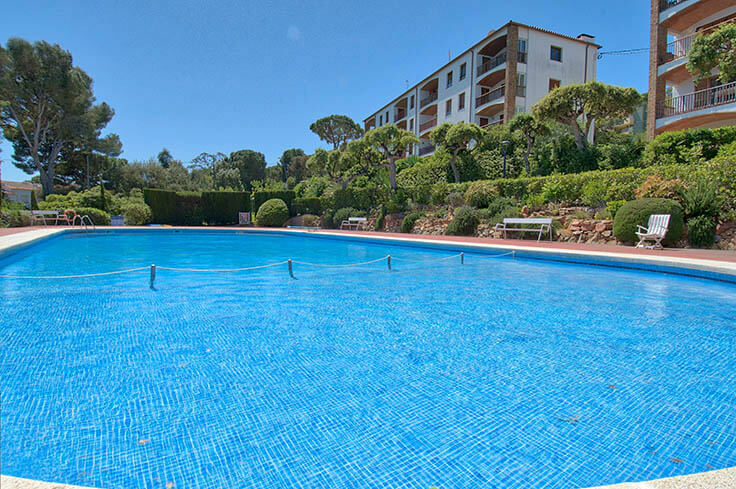 Perfect service every time"
" Nice apartment with a great view over Calella"
" Emplacement idéal. Vue magnifique Logement très propre et bien équipé." " Fantàstic, molt acollidor i vistes excepcionals." " Estupendo apartamento y muy bien ubicado"
" Très bel appartement avec très belle vue, malgré le Magnolia qui ne permettait pas une vue à 180°sur la mer. Ce fut un excellent séjour." " Even better than it looked on the website. Great location and well equipped." " Wonderfully situated in Calella de Palafrugell. Beautiful views and simply and nicely decorated. It would have been good to have been provided with towels which we had to go out and buy as travelling from the Uk there are luggage restrictions! We have never stayed anywhere before where towels have not been provided. Not even any T-towels for the kitchen." " We stayed in a renovated apartment (Panoramic, Arago 5) with a lovely view at the bay of Calella de Palafrugell. The apartement had everything: from good beds to a dishwasher and, most important, WIFI! The private parking and large swimming pool are a big bonus. Pity is that the sun disappeares from the balcony around noon. In summer this is no problem, but in spring and autumn it becomes to cold to sit outside and enjoy the view." 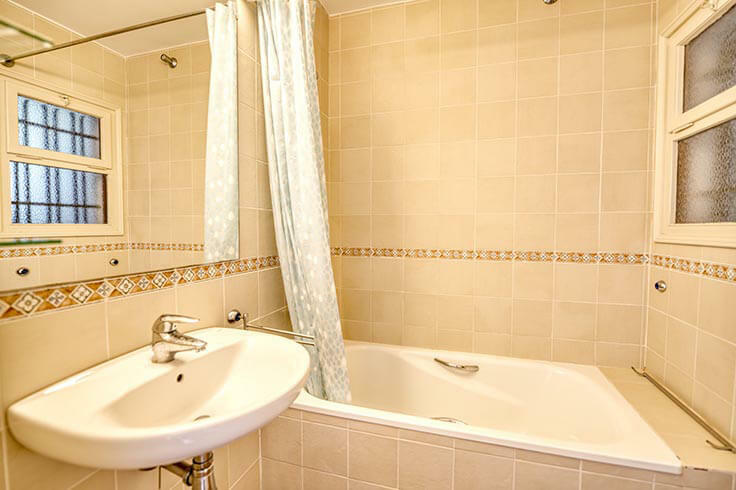 " The accommodation was very clean and in a good position close to supermarket and restaurants. The view is amazing. It would be easier to keep the flat clean if cleaning products were provided as we were travelling by plane." " Allotjament fantàstic. Molt relaxant"
" Personal molt atent i àgil." " Nice appartement, nice view. A short walk to beach, restaurants and supermarkets.The garden and pool are very nicely held." " Simpatiquíssima, la noia que no se com es diu però que recordo molt maca i molt amable."